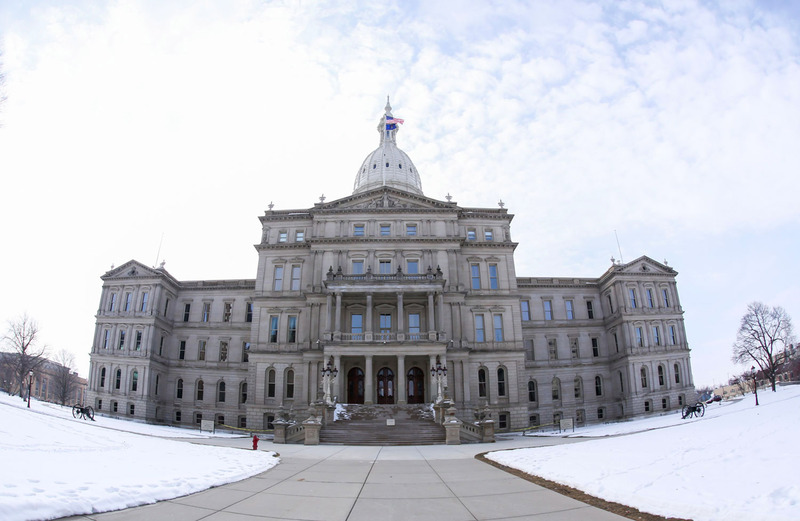 Michigan has voted for the Democratic presidential candidate in the past six presidential elections; however, "going blue" is not necessarily a guarantee for the state in the 2016 presidential election. According to recent polls, Hillary Clinton's lead in the state is shrinking, and Michigan's 16 electors (and electoral votes) could potentially be in play for either candidate. A new poll conducted for the Detroit Free Press shows Clinton leading Donald Trump by seven percentage points in Michigan, which is down from previous polls. According to the Trump campaign, the narrowing of the race in Michigan means that the candidates are now in a "dead heat" in the state. However, that doesn't seem to be the case. Trump has made appealing to midwestern swing states a key part of his campaign strategy in hopes of winning as many of these states as possible. It is clear that Trump still thinks he has a very viable shot at winning Michigan's electoral votes, considering he recently held rallies in both Grand Rapids and Warren, Michigan, marking his sixth visit to the state. However, while Trump seems confident that winning Michigan is a legitimate possibility, some analysts think his chances are quite slim. A seven percentage point separation between the two candidates in the state is still extremely significant and would require a massive feat by Trump, even if 13 percent of voters are still undecided in Michigan. FiveThirtyEight's recent statistics on the likelihood of Trump winning the electoral college in the state echo this sentiment, and currently put the chances of Clinton winning the state's 16 electoral votes at 85.5 percent. Even though Michigan seems like fairly sure lock for Clinton in the 2016 election, the fact that this is the first time in recent history that the race for the state's 16 electoral votes has been so close means that it is absolutely worth paying attention. The Washington Post reports that the best way to get a sense for how close the race will likely end up being in the state is to look at Clinton's campaigning. If she schedules a stop in Michigan before the election, it means the campaign considers the state to truly be in play. If not, the campaign believes their likelihood of winning Michigan's electoral votes is quite strong. Either way, the state is surely one to watch as we rapidly approach Nov. 8.